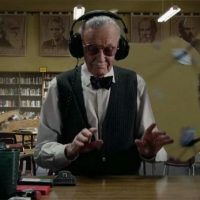 Legend Stan Lee passed away on Monday, November 12th at a medical centre in L.A. The genius behind Marvel was 95. Check out his cameos in the video below. I think my favourite is when he delivers a package for “Tony Stank”. Although getting drunk with The Avengers was hilarious too. And honestly there are so many good ones.